Whether you’ve stayed in a recycled shipping container or waved your hands to activate our energy-saving lighting – it’s hard to ignore YHA’s commitment to the environment. Here’s why we’re an award-winning choice for guilt-free adventuring around the England and Wales. This September we were finalists in the Global Youth Travel Awards, winning 3rd place for the Green Accommodation Initiative Award. We’re so proud to be recognised for reducing our environmental impact and keeping green travel at the heart of what we do. We’re also in the TripAdvisor GreenLeaders program – a top way to showcase our greenest hostels to eco-savvy travellers. This requires us to have seven industry-leading green practices in place; related to energy, water, waste, purchasing, site, innovation and education. Our current GreenLeaders include YHA London Oxford Street, YHA Conwy, YHA Dalby Forest, YHA National Forest, YHA Port Eynon and YHA Eskdale. Look out for the green badge and you’ll get peace of mind that you’re staying somewhere environmentally-friendly. Taking care of the environment is an integral part of YHA and we aim to do everything we can to keep the great outdoors amazing! We offer buildings that are purpose-built to be environmentally-friendly, locations easy to get to by public transport, and hostels near to natural wonders. With our long relationship with the great outdoors, we aim to be at the forefront of eco-tourism – respecting the habitats we’re in and encouraging guests to appreciate nature and wildlife. • YHA Eskdale is a hidden gem with a wildlife trail, biomass boiler and solar panels. There’s even a nature hide in our grounds if you fancy doing some birdwatching. • YHA Eden Project sits next to one of the greenest attractions in England and Wales – book a stay at our unique ‘village’ of recycled shipping containers. • YHA Blaxhall is powered partly by solar energy and is also the site of a community recycling scheme. Don’t miss the fascinating wildlife in its garden. 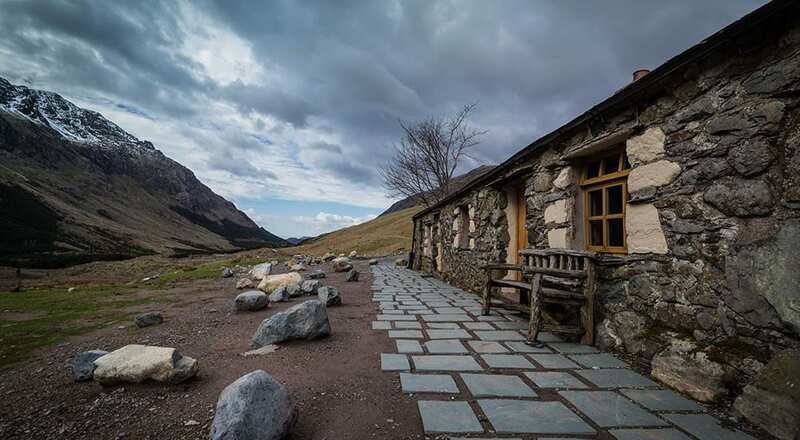 • YHA Black Sail can only be reached by a three mile trek and sits in the middle of a wilderness. Leave your gadgets at home – there are no plugs here. • YHA Snowdon Pen-y-Pass has a biomass boiler to cut carbon emissions, and our National Office in Matlock has one too – along with solar panels on the roof. Want a bigger insight into how we’re becoming greener? Our Green Spirit Plan has all the details about how we’re continuing to reduce our carbon footprint over the next three years. It’s our promise to measure our impact on the world around us and set realistic targets to reduce any effects. Our organisation’s SPIRIT values begin with S for Sustainability too. We also want to grasp every opportunity to use renewable sources where possible. Since 2011, YHA has saved enough CO2 that is equivalent to a fully laden jumbo jet flying around the World – or a family car driving 30 times around the World. Previous ArticleMaking friends on a YHA School TripNext ArticleWhy choose a hostel for your company away day?